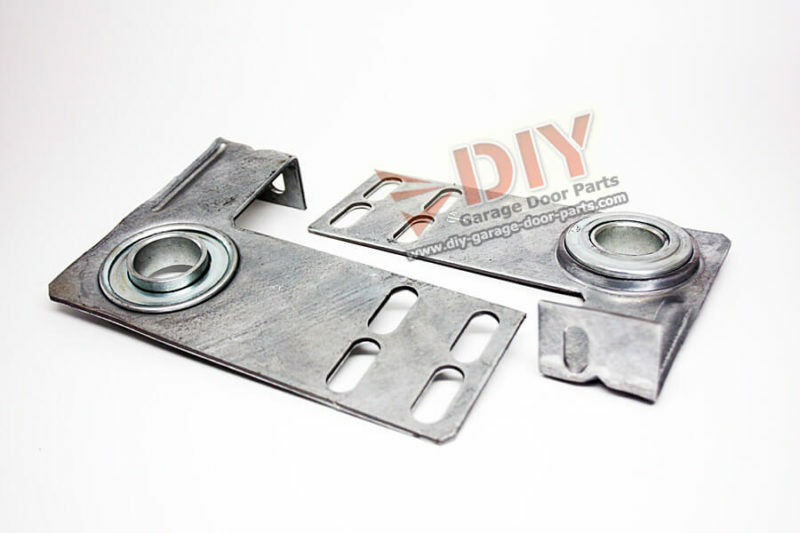 End bearing plates keep your door working smoothly. Worn bearings will be gritty when you turn them my hand or not move at all. Another sign in black steel dust around the bearings. 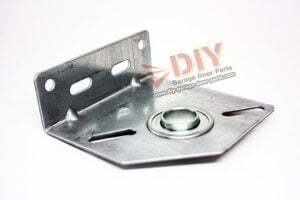 These have a long life steel fixed bearing with a 12 gauge steel plate. 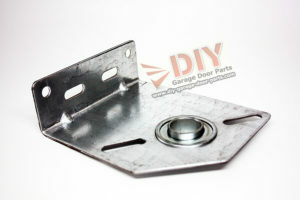 (To check for compatibility, the measurement from the wall to the center of the bearing hole will be 3 3/8″. ) 6 3/4 length x 4 3/4 width. 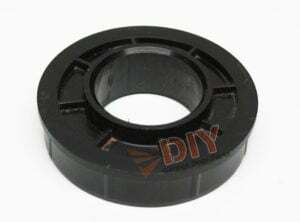 Bearings are rated for 45,000 cycles. Better than the original equipment.